/ What About Jim Rickards’ book “The Death of Money”? 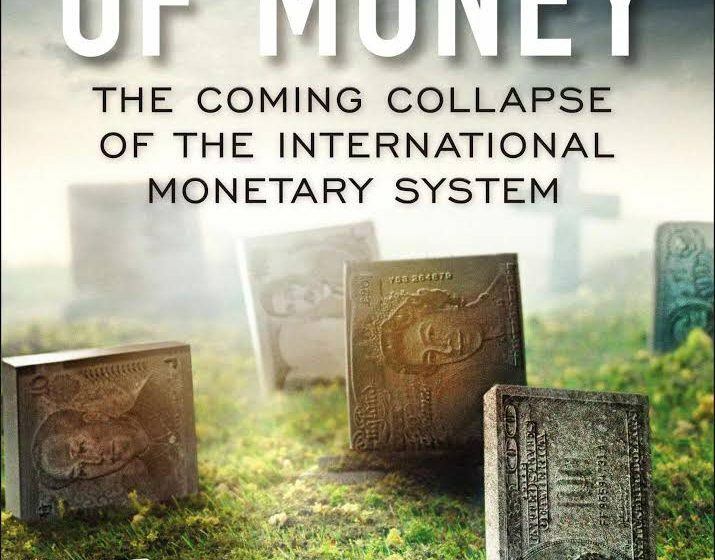 Is a "dollar collapse" possible and imminent as Jim Rickards says in the "Death of Money" (along with others)? The Bible actually speaks on this topic in Revelation. Find out why a financial collapse will not happen no matter how many people say so. I have read your book and keep up with some of your articles through Facebook. I have friends who are "preppers" and I have to come back to read your material to calm myself down occasionally. However, I have started listening to a book by Jim Rickards called "The Death of Money." He is not writing from a point of Biblical prophecy but statistical prediction as I understand it. And he is predicting a very soon coming economic collapse of the economy at least in the US if not world wide. 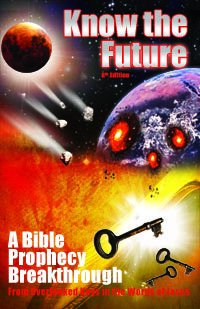 I'm not saying that Jim Rickards (and others') prediction of a soon coming economic collapse is a "sign of the end time," but could it be a sign of some type of judgement on our country and shouldn't we listen and prepare for this possibly coming economic collapse? Thanks for ordering it and reading. So glad to hear my material calms you in the face of the influence of preppers. The thinking of those people is naturally exaggerating of the threats out there otherwise they would not be feel such urgency to go to the extreme lengths that they do. Being around them and their thinking can certainly put some fears and doubts into you. I have this article in case you missed it and check out this one. As that last article shows, typical prepping strategies won't save you. I say none of them will as the unprepared population will outnumber and overpower those who they find are still eating and well supplied. Just watch Walking Dead to see that played out. Preppers don't win, it's scavenging gangs with lots of weapons who do. Same goes for "economic collapse." You can't possibly prepare for this. If you have gold and nobody else does, guess what: you're going to be shot for your gold sooner or later. Revelation talks about an economic collapse when America goes down and you know what it says: NOBODY buys goods anymore. Why? Economic collapse with the crash of the dollar, reserve currency of the world. It will be pandemonium. Thankfully there is no financial crash until America is gone and by that time we'll be safe.